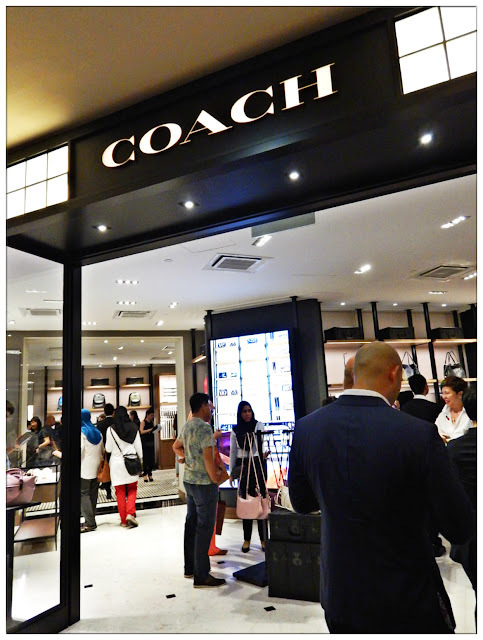 Thanks to Sheena, managed to catch the latest store reopening of Coach Malaysia right at Sunway Pyramid. It is better, luxurious with a modern twist instilled boutique store with the brand new Modern Luxury Concept straight from New York to Kuala Lumpur. Congrats on your grand opening Coach Malaysia! The store is strongly in touch with the brand's history, with notches of New York traditional buildings concept and also the warmth feeling of a home. This year marks Coach's 75th anniversary and with the whole new Modern Luxury Concept retail store, customers are able to feel more connected and satiated towards this American luxury fashion brand. Ernest and Sheena posing for photo wall. I'm like the paparazzi for the night hahaha. She does gave me the feel of Chloe Grace Moretz in this look! She's one of the VIP guest for the ribbon cutting ceremony alongside with other VIPs and I'm so happy to see her up there doing her thing. Another life achievement unlocked I guess to see your friend officiate a luxury brand store grand opening. Woohoo! Of course, events are like these are good catch up session for friends and acquaintances. Managed to catch up with James and long-time-no-see Alvin and chatted so much during the event. Very chilling and fun. Free flow of champagnes going around and the waiters just keep on pushing food into our face! They serve super nice chocolate dessert!!! Eat all the desserts!!! How can we not take photo right!!! The whole store is packed with customers right after the ribbon cutting ceremony and people are crazily buying bags and stuff. Guess must be Chinese New Year approaching and we all needed a new bag to go with it. Anyway, here some previews of the latest Spring Summer collection. 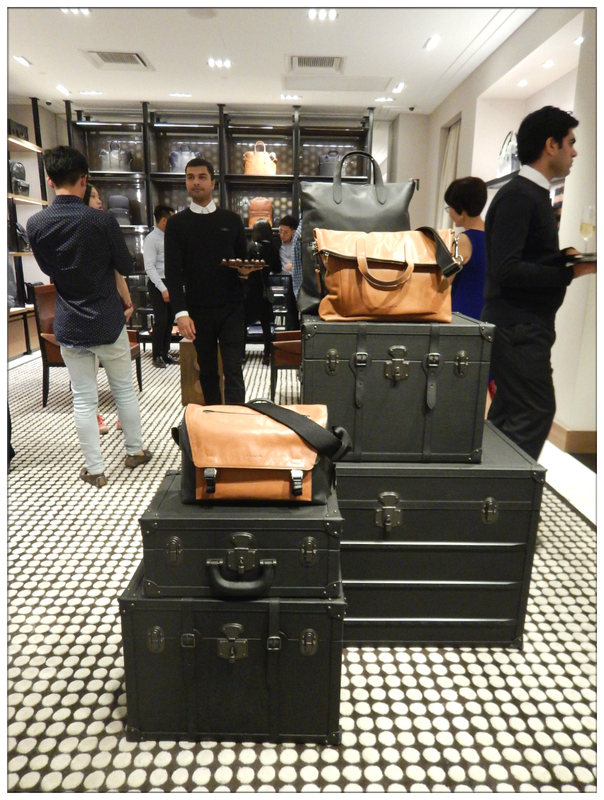 I really love the men's corner stuff, all those camel brown coloured items catches my eyes especially them backpacks! Once again thanks for the invite Sheena, had fun catching up with you and be your photographer of the night lolololol. Last but not least, an OOTD shot to end this post! Thanks for dressing me always! 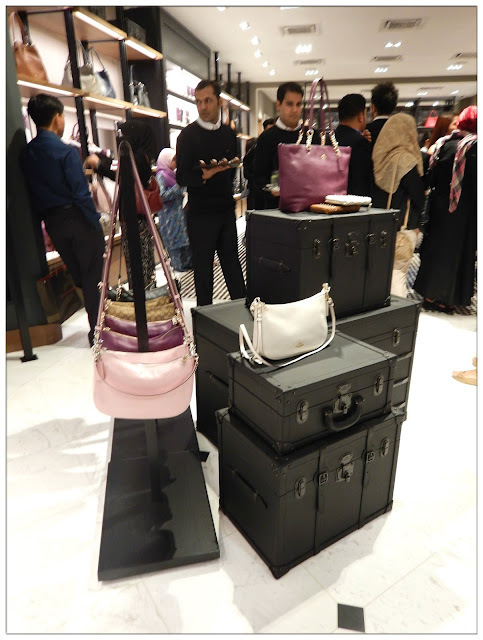 i love coach new collection too! recently they have really cool stuff compare to last time..